With a one-ounce capacity and automatic valve, the basic SuperC is perfect for batch testing, and research and development. 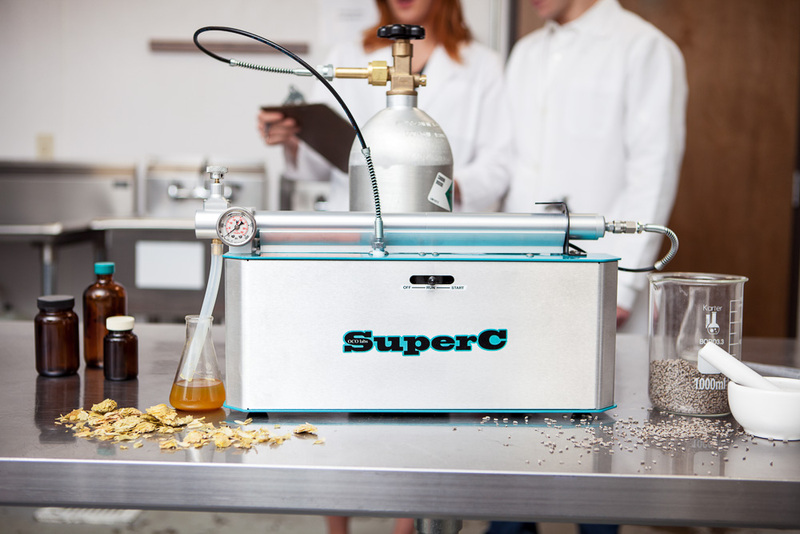 The SuperC™tabletop extractor can be used to generate samples of feedstock to ensure contaminant-free batches before processing the full batch. The SuperC™ extractor offers many of the same parameters as commercial scale plant designs, allowing for truly representative sampling. How Does OCO Labs Help Cannabis Processors? Start out with an entry-level extractor to learn the ins and outs of SFE. Take representative samples of any material to prescreen for pesticides. Develop parameters and processes unique to various feedstocks. The OCO LabsSuperC™tabletop CO2 extractor can be purchased through Eden Labs for $4,000 plus shipping.